We have a new project on the West Coast, and we can't wait to get started! 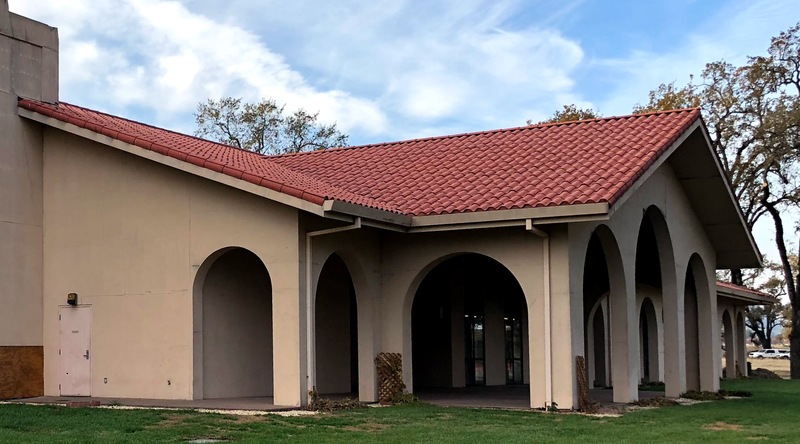 We're keeping details under wraps for now, but we can tell you a bit about the existing roof and the decision to upgrade to a metal roof system. 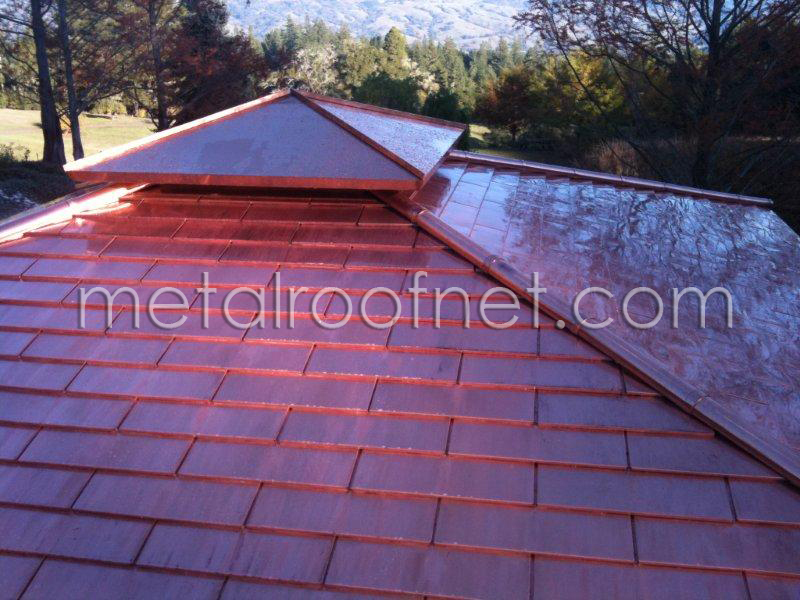 Check out one of our latest projects - custom copper shingles on a tea house in California's spectacular wine country! 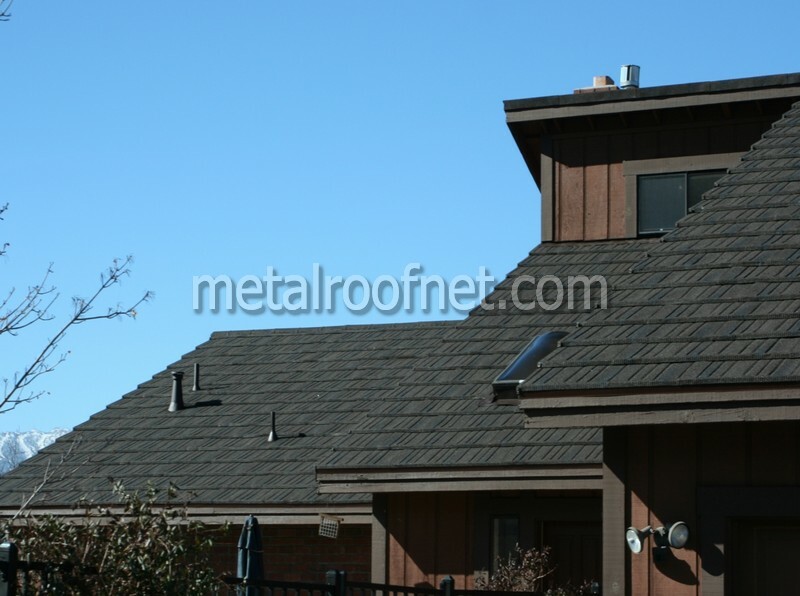 Here's another in our metal roof Q&A series. Remember, post your question in the comments and we'll answer it right here on our blog! The current economic climate notwithstanding, people are going to continue to need roofs. 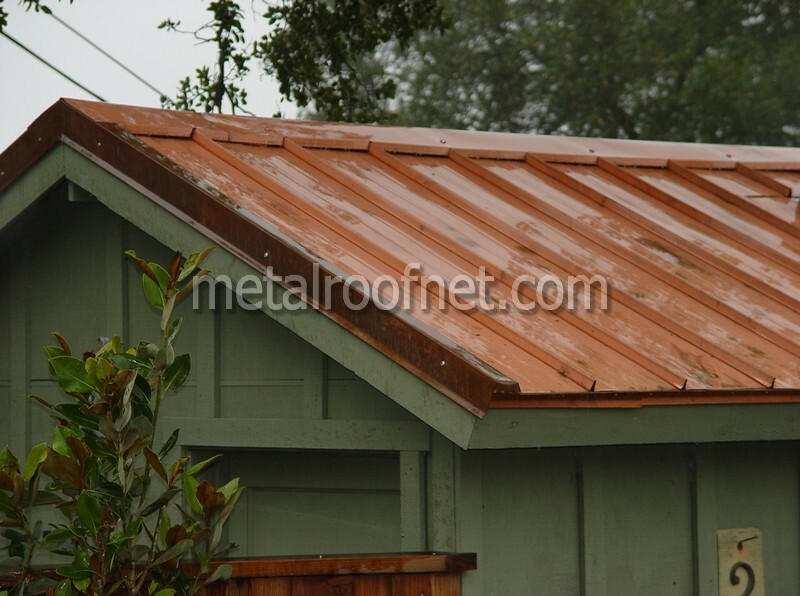 And if it's at all possible, a metal roof is still your best bet despite the higher initial cost. Over time, your investment will pay for itself again and again. 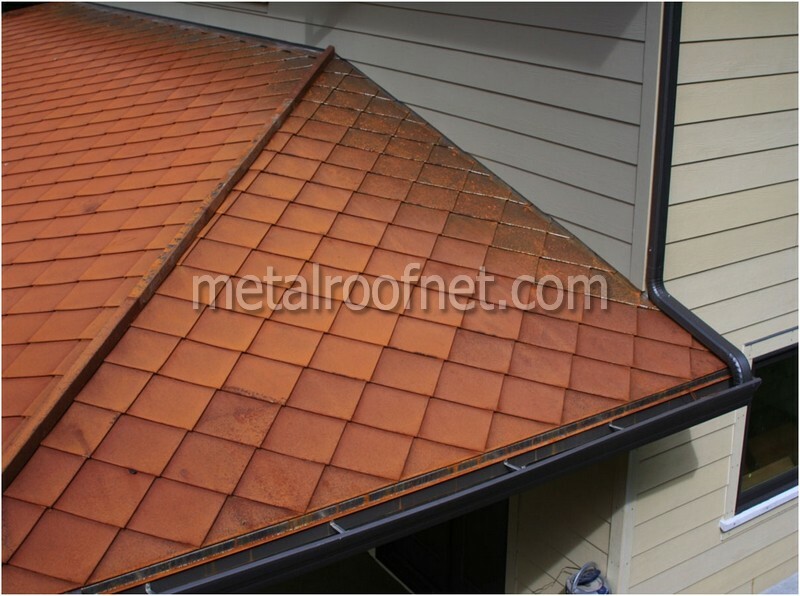 At the very least, you should explore your re-roofing options with metal before slapping the same old comp shingles on your roof again - the very ones that will require patching and/or replacement far too quickly. Installing solar panels on a roof is a very popular trend - and growing in popularity. One of the most overlooked aspects of this type of upgrade to a home or business is the type of roof material over which the new solar panels will be installed. Does it make sense to anyone to attach an expensive, hi-tech solar collection system to a roof that won't last as long as the panels? I can't imagine anyone answering that question positively, but I see it all the time. Bad enough that some solar panel installations are installed on new roofs with a proven poor track record (asphalt composition, anyone? ), but it has to be even less rational to install a new solar system on an older roof that isn't far from the end of its service life. We're starting a Q&A section here on the blog, and here's our first question and answer to start us off. 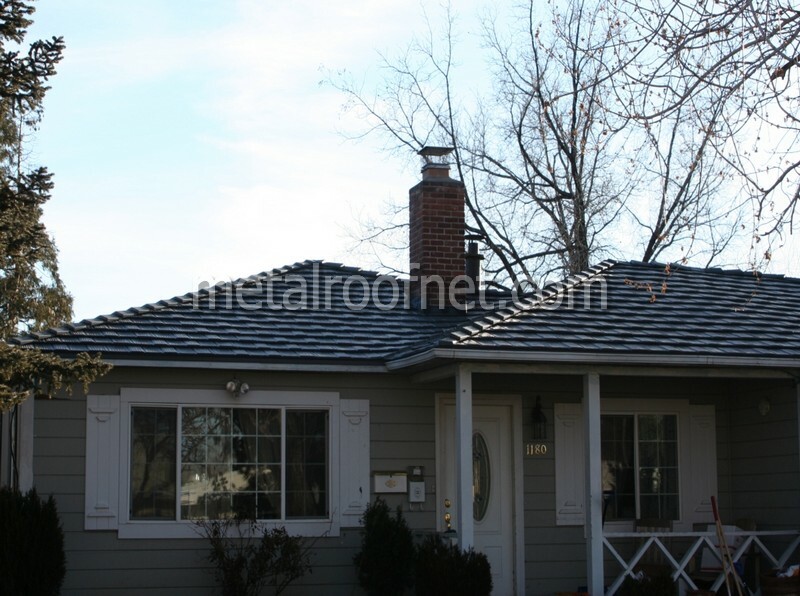 If you have a burning metal roofing question, ask us in the comments sections and we'll post an answer! This is the nearly finished custom home of a client in northern California wine country in between Santa Rosa and St. Helena. 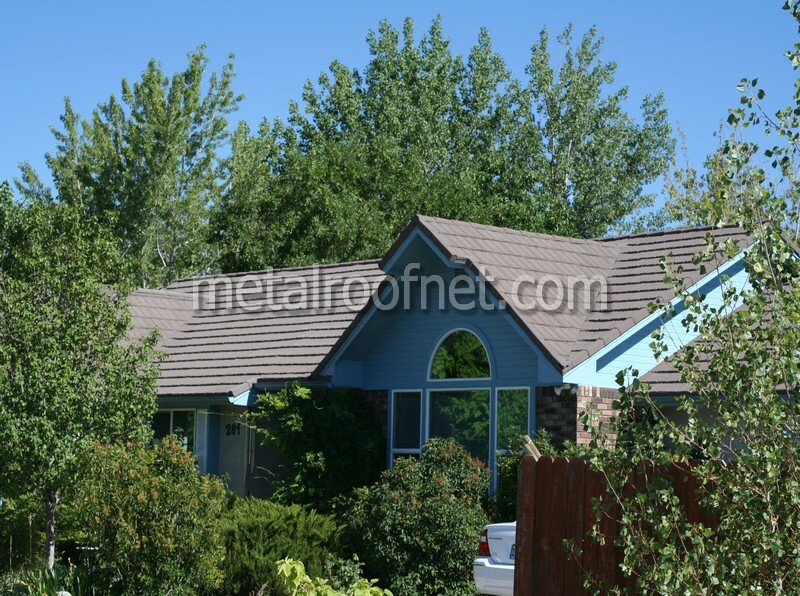 They chose the Metal Roof Network patagonia diamond shingle in Natural Steel. After just one winter, it's developing a very beautiful red rust patina. The client was sure to install a good gutter system as this type of roof allows a red rust run-off that can stain masonry and other porous materials nearby. But other than that, there is next to nothing that can go wrong with this type of roof and it will have a lifespan of many decades. So you realized a few months ago it was time for a new roof and like any good consumer, you began researching your options. Considering the expense and the scope of most re-roof projects, it just makes sense to take your time. If you're like many, you've discovered there's a virtually endless well of information and opinion out there - so how do make a final decision when it comes to finally making the big purchase?